Weekend home and extra ordinarily early for mass. I am not exactly the girl who wears long skirts and a head scarf so particularly spared for Sunday. Lipstick as usual, decent pants and a stylish trench coat. I walk past the empty seats and sit at the last bench in the choir section. Today, I must concentrate and sing like an angel too. I forget to pray and instead start reading through the pamphlet with readings for the day. First reading, universally in the Roman Catholic Church: the infamous Proverbs 31: 10-13. Who can find a good wife? She is far more precious than jewels…and it goes on an on. It will be an interesting sermon this one. A man comes through to my seat. I smile back at him and excuse him to sit next to me. He is with two adorable kids. I make a mental note to tell Peter (Our school choir director) about it. I feel a little embarrassed that it was faulty, and equally guilty that it took me so long to remember his face. This is the same man who told me that I would do great in a career in marketing after I made my first armature ‘advertisement’ for snacks that the Youth were selling after church. The next time I stood on the podium to appeal to the congregation to buy ‘The spoken word’ magazine, I was more confident. I took my stage time to drive the value propositions home and convince the congregation why this informative collection of young talent was a must buy. When he came to buy it from me, he again smiled and said I was getting better by the day. And I was happy! But up to date, I have never cared to ask for his name, or tell him that I am majoring in marketing. The homily touches on virtues and the qualities of a good woman. Charm is deceitful and beauty is skin deep. Do not let the lipstick deceive you. In my moment of questioning why the continued emphasis on lipstick (words which are now starting to agitate me) I freak out that probably the focus on the screens all around the church is prominently on my shouting pink lipstick. I drift my attention to the baby next to me. “His name is Abraham, His mom left on Friday…” I did not catch the last bit of the sentence. I nod. I am half listening to an uncomfortable sermon and trying too hard to make Abraham smile. A Few minutes later I ask when the mom will be back. “My condolence”… and I turn back to Abraham. How insensitive of me! Babies draw my full attention though. I am not sure whether to ask if Abraham is his son so I ignore that part. Later I ask him what the relationship with the kids is. And for the rest of the time I only think of this family, such a young one. The first born is eight or so, I wonder how he will bring them up while dealing with the trauma of losing his wife. To cancer! 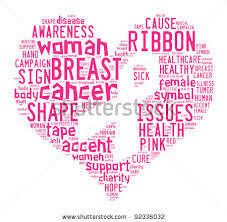 Every October is breast cancer awareness month, but what do we do? I remember going braless on October thirteenth, worlds’ ‘No bra day’ to show solidarity with cancer victims, I even updated THAT status meant to keep men guessing, this year I chose the poison that would go viral. I updated my face book status that I was going to be a mother! And they all thought I meant I was expectant. I remember the campus gossips audaciously saying that the last Kamba woman standing had finally fallen! So hypocritical of me, the attention came to me rather than the victims. I wonder what the victims feel when they see this feigned attention, this pretentious awareness, which now seems so brainless. Go braless, then what? Update your status then what? ?It’s about time we showed some love and made a lasting impact by actually doing something memorable to the victims. Next year, I tell myself, rather than doing what I have been doing, I will be in the hospital spreading some love. I have never made any effort to visit a cancer ward; I did not even imagine it was really real. I have seen chemotherapy and radiotherapy in movies, and it drains you. I now wish I took time to know him, maybe he would have told me his story when I still had a chance to walk with the late wife. I feel so helpless. I manage to tell him that I am really sorry, and ask him to let me know if there is any way I can help. Again he smiles calmly. Being consciously aware of the circumstances of those around us could help know how best to brighten their day. But what I learned is that not knowing ones circumstances is not an excuse to not doing good deeds and uttering good words. This amazing man found time even in the deepest of his trials to brighten my day, and make me know that the future was brilliant, even though I was a stranger. Every single day should be an opportunity to let someone know that God is alive, that there are brighter days to look forward to and that you are willing to help in any way possible. To the family that inspired this post, HIS grace will be sufficient. To that extraordinary man (Antony Wachira), your hope, courage and love for life makes you my hero of the year. 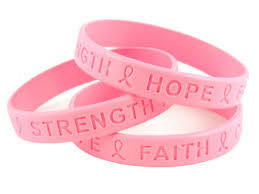 To the surviving cancer victims, the human spirit is stronger than anything that can happen to it. Keep the smile and hope for a better day,every day! Kimuya, almost had me crying there.. more so at my own shame for being so insensitive to the cancer patients and to other similar circumstances around us. As you said, I have no excuse not to be a blessing to someone, depite and inspite of my own situation. Yet another interestin bt challengin piece of work. Lilian u ar such a gret pason ad ur work is of invaluable worth. I join in solidarity wit u to sympathize ad show empathy to all thos infected or affected by any form of cancer.When i read this post it reminds me how av lost two close relatives to cancer ad my own mum to ulcers…i thnk ts da high tym we shud rise ad do more dan tokin. Kudos for ur concan to da sufferin ts such a gret attribute ad virtue not common to many. so touching…not knowing one’s circumstances is not an excuse to not doing good deeds to them…. Am speechless, your words have touched the inner me and I’ll be changing.